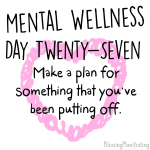 As you know, I am so passionate about taking care of your mental health. It's not always easy and it takes so much courage to face something so big and scary like your brain and say "I've got the control here." 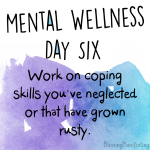 It's up to you to use all of the tools that are at your disposal. 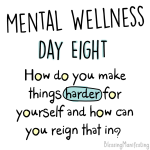 Whether that's therapy, medication, supplements, physical activity, acts of self-care - it's up to you to find what works for you! 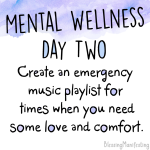 This a 31-day challenge for Mental Health Wellness. 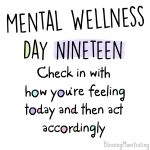 Commit to checking in and doing those things. What do you have to lose? 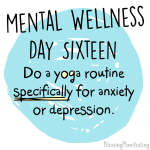 If you have anxiety issues, be sure to check out my workbook "Breathe." 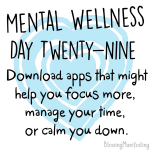 It has a ton of anxiety tips and coping skills from me to you! Printable List! 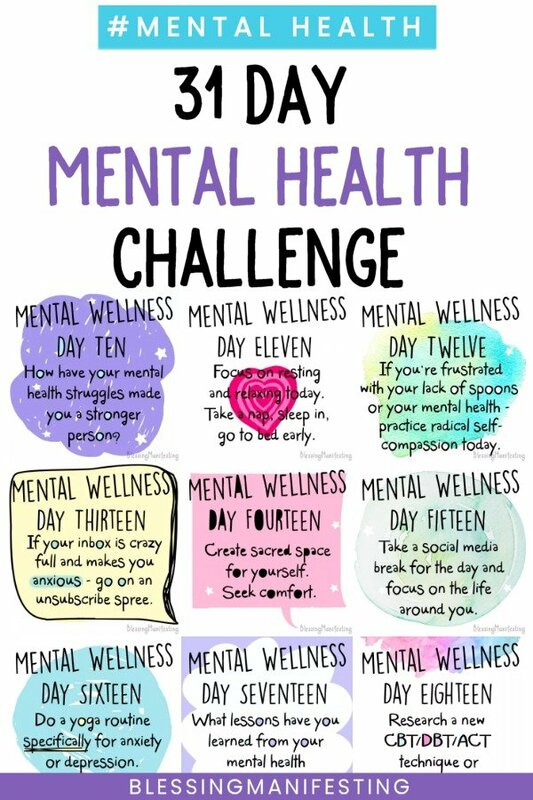 If you'd like to print out the Mental Health Challenge - download this .pdf! 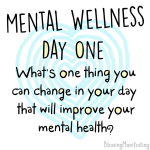 What's one thing you can change in your day that will improve your mental health? 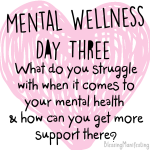 What do you struggle with when it comes to your mental health & how can you get more support there? 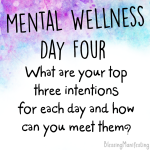 What are your top three intentions for each day and how can you meet them? 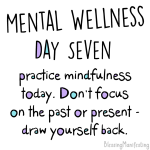 Practice mindfulness today. Don't focus on the past or present - draw yourself back. 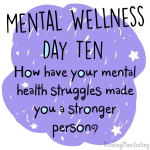 How have your mental health struggles made you a stronger person? 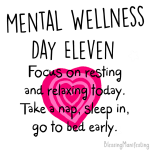 Focus on resting and relaxing today. 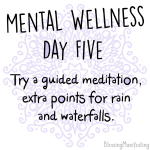 It's okay to stop and recharge. 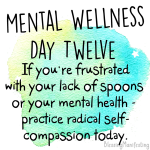 If you're frustrated with your lack of spoons or your mental health - practice radical self-compassion today. It's easy to get frustrated. Show yourself love instead. 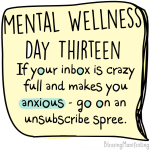 If your inbox is crazy full and makes you anxious - go on an unsubscribe spree. 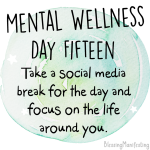 Take a social media break for the day and focus on the life around you. 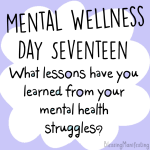 What lessons have you learned from your mental health struggles? 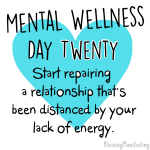 Start repairing a relationship that's been distanced by your lack of energy or your anxiety. 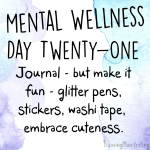 Journal - but make it fun - glitter pens, stickers, washi tape, embrace cuteness. 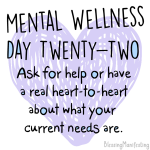 Ask for help or have a real heart-to-heart about what your current needs are and what needs aren't being met. Plan a date night with yourself. 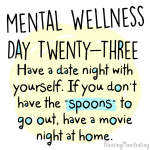 If you don't have the "spoons" to go out, make some popcorn and hang out on the couch with a movie. 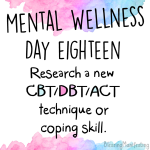 Read something that will help your mental health. 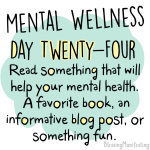 A favorite book, an informative blog post, or something fun that makes you laugh. 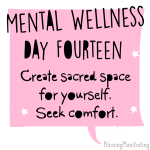 Choose an affirmation for today and repeat it to yourself throughout the day. 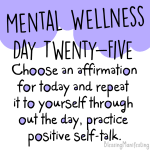 Practice positive self-talk. 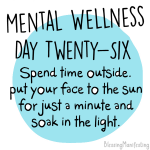 Spend time outside. Feet to the ground is a beautiful feeling. Make a plan for something hard that you've been putting off. 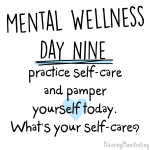 Focus on your self-care routine. 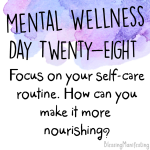 How can you make it more nourishing? 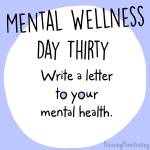 Write a letter to your mental health.